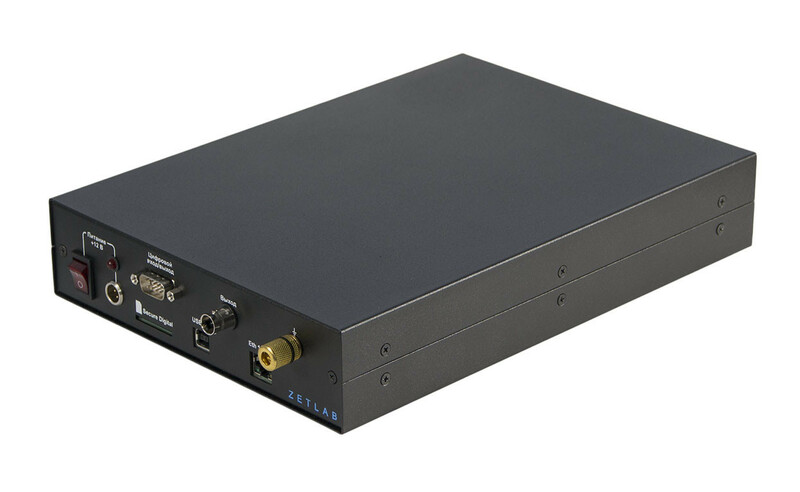 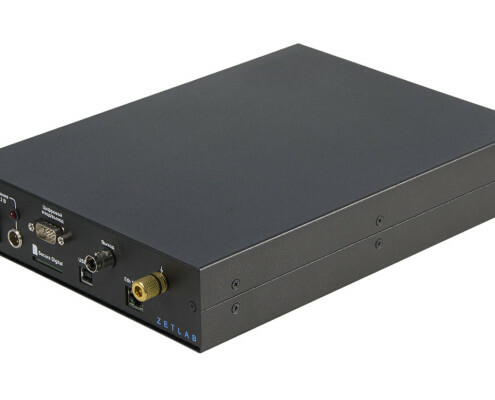 * when FFT spectrum analyzer is connected over Ethernet, the system response delay increases by an order of magnitude as compared to USB-connection, and the system might not complete resonating products or shapes with a sudden level drop. 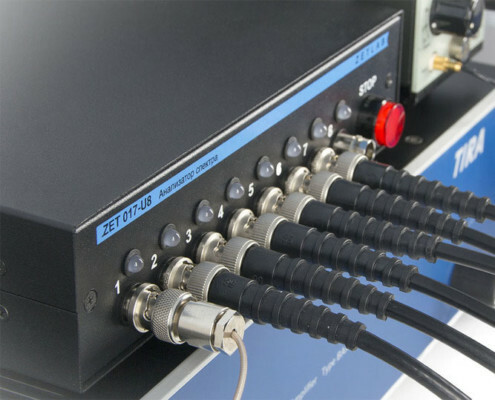 The table shows values for FFT spectrum analyzer connected by USB. 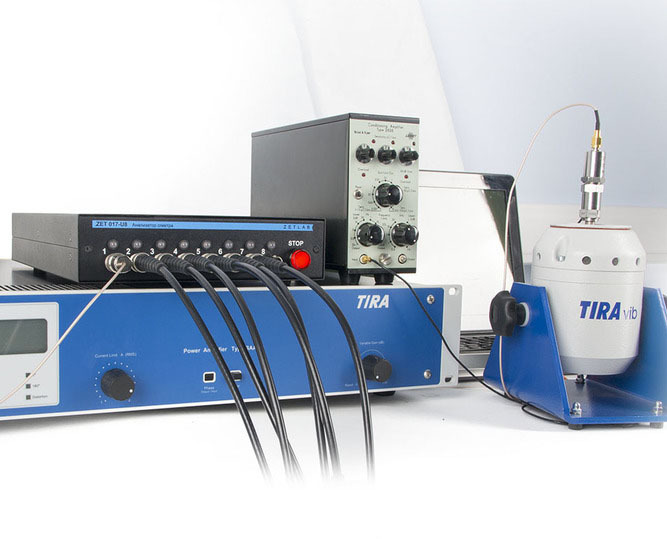 Testing for vibro impact pressure. 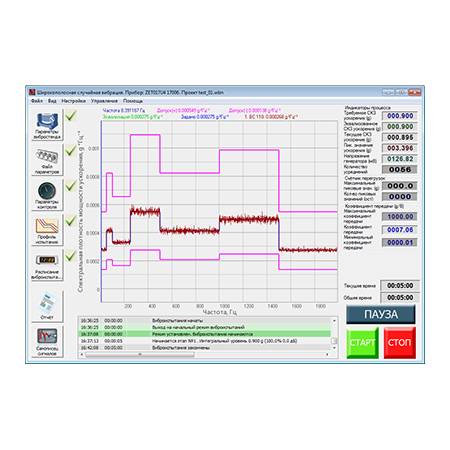 Now you don’t have to spend much time on settings and tests in manual mode. 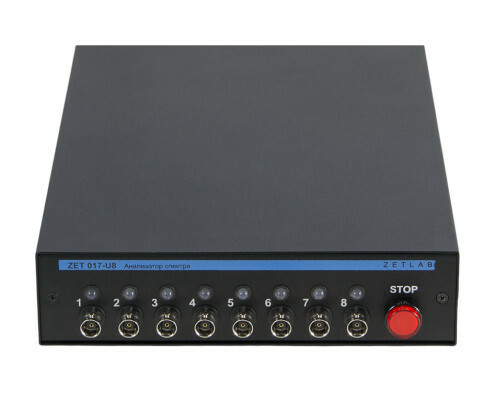 All you need to do is to select the test mode, set the parameters, and press “Start” button! Besides, this system is significantly cheaper than foreign counterparts available on the market. 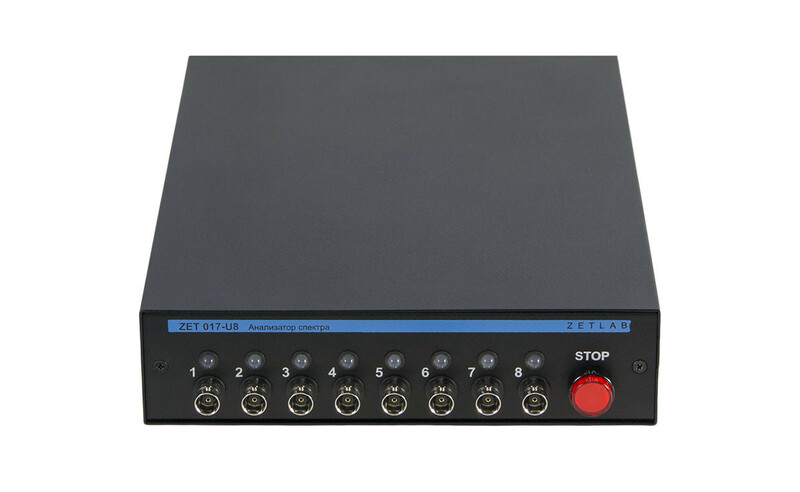 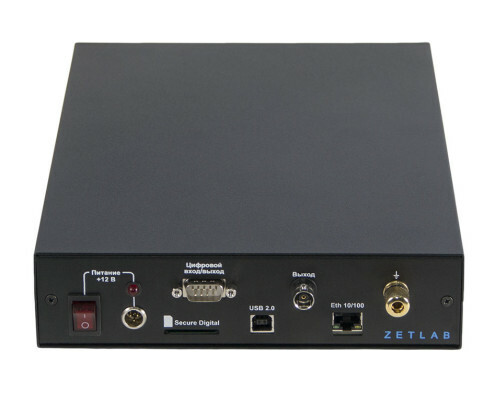 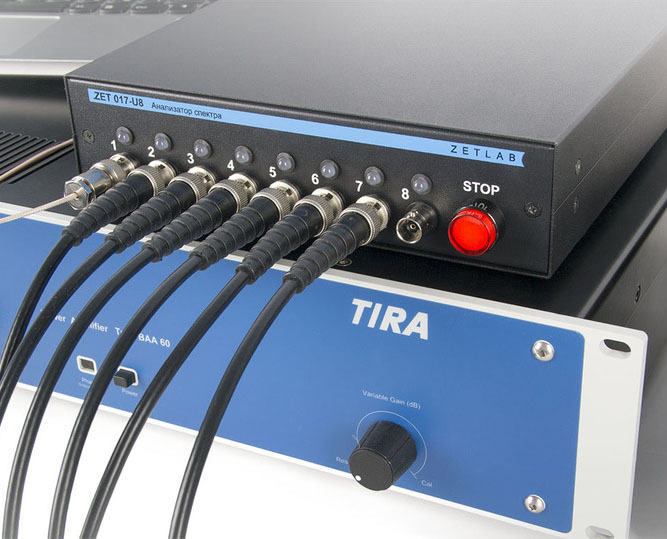 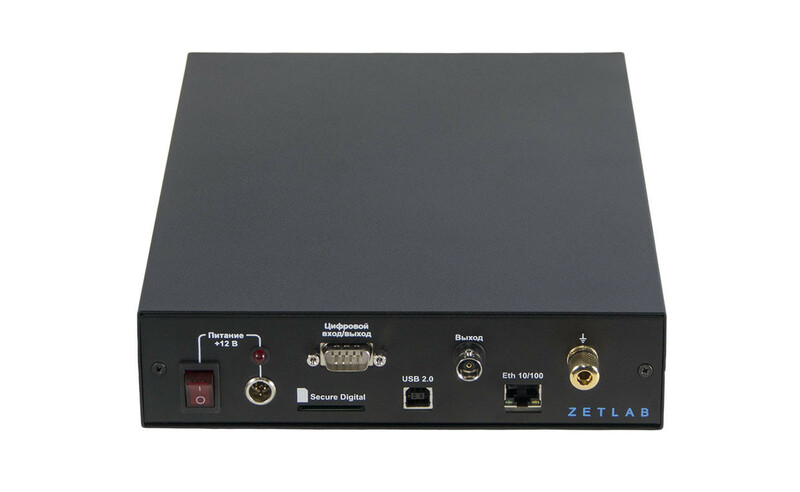 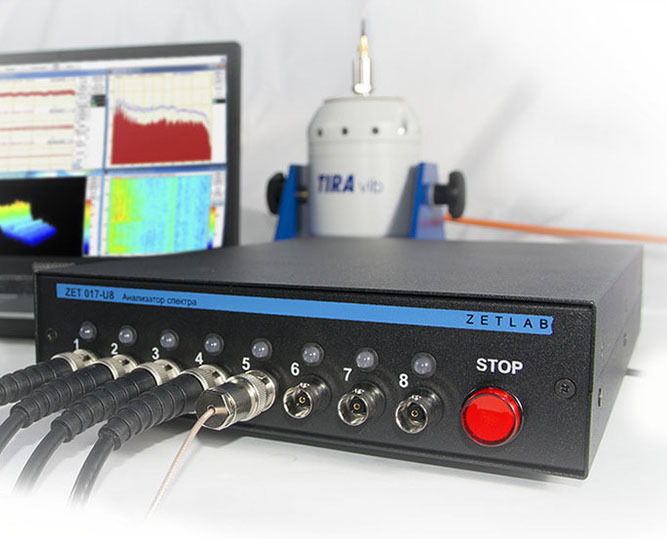 The vibration exciter is controlled by FFT spectrum analyzer using ZETLAB VIBRO programs: sinusoidal signal, broadband random vibration, classical shock, vibration impact. 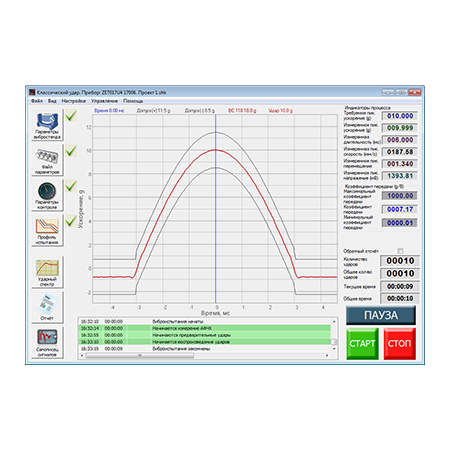 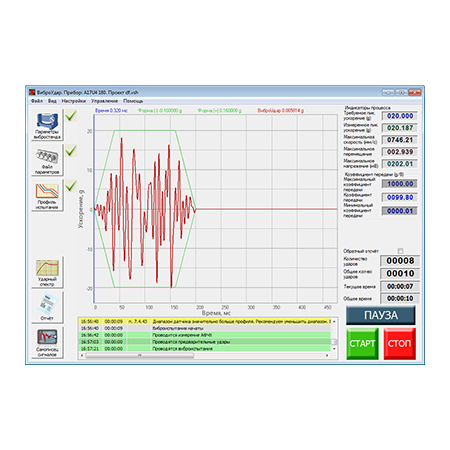 In the programs, you can set the test type to be carried out and to be controlled by FFT spectrum analyzer over the feedback channel. 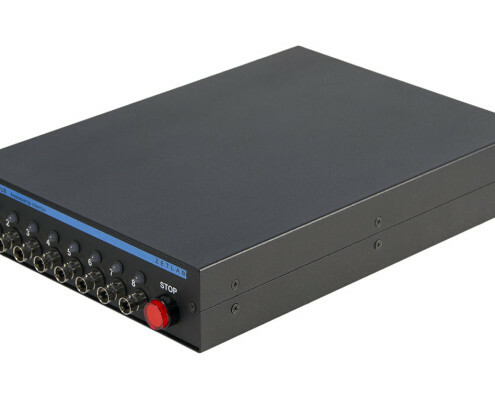 To affect the item tested with vibration (random or harmonic) similar to typical equipment operation, shaker controller provides generation of the control signal for the vibration exciter according to the set level of vibration defined by the user, and which must be maintained at the reference measurement point. The system maintains the set level automatically, regardless of external impacts to the item.